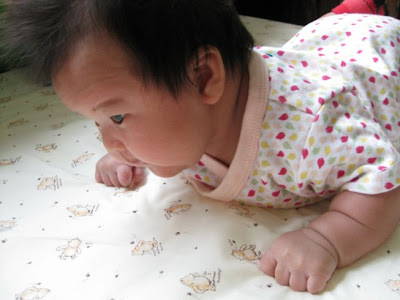 A Dollop Of Me | family, food, healthy living, life's tidbits: Tummy Time! "Look Ma, I got my cheeks off the ground!" And those be juicy cheeks too!! that's really high leh! good job bubbles!